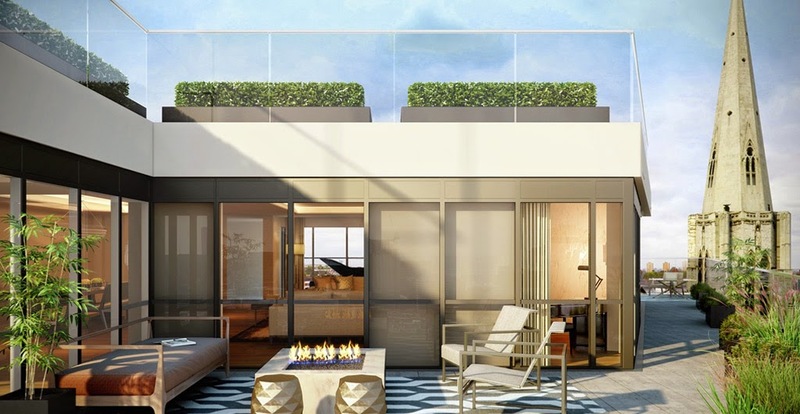 Dickens Yard offers a new lifestyle in the heart of Ealing and West London. 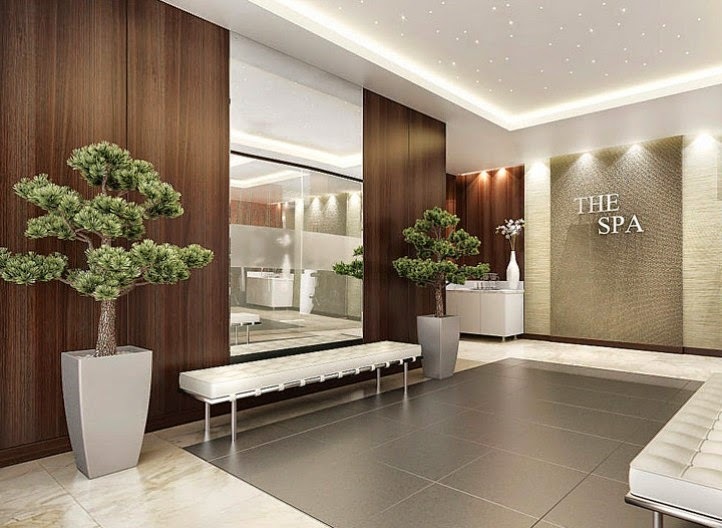 The luxury development will feature a hotel style concierge service, private residents' spa and underground parking. 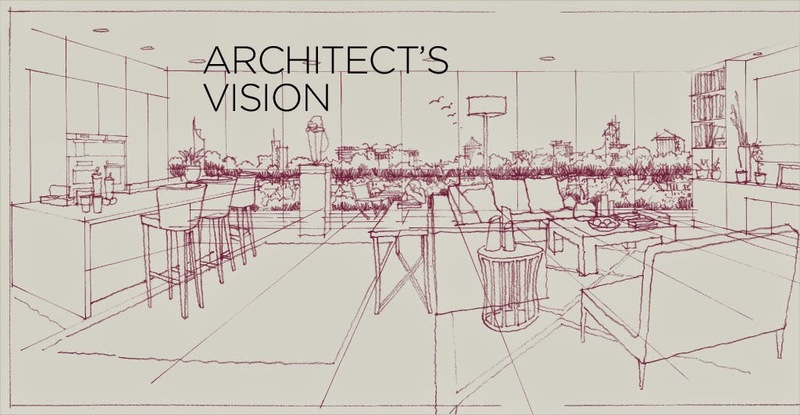 At the heart of the new quarter, a dynamic Town Square will come alive with sophisticated shops, restaurants, outdoor markets and cultural events creating a focal point for everyone to enjoy. 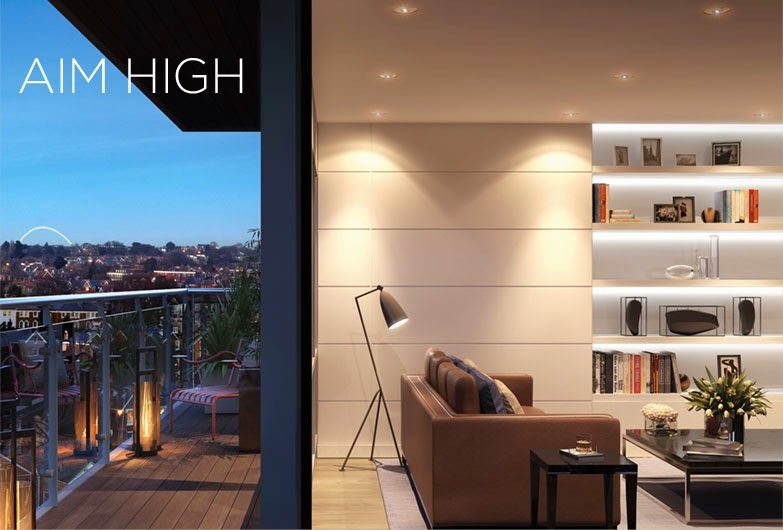 Dickens Yard's range of exceptional apartments and penthouses will allow all its residents to relish life in this exhilarating environment. 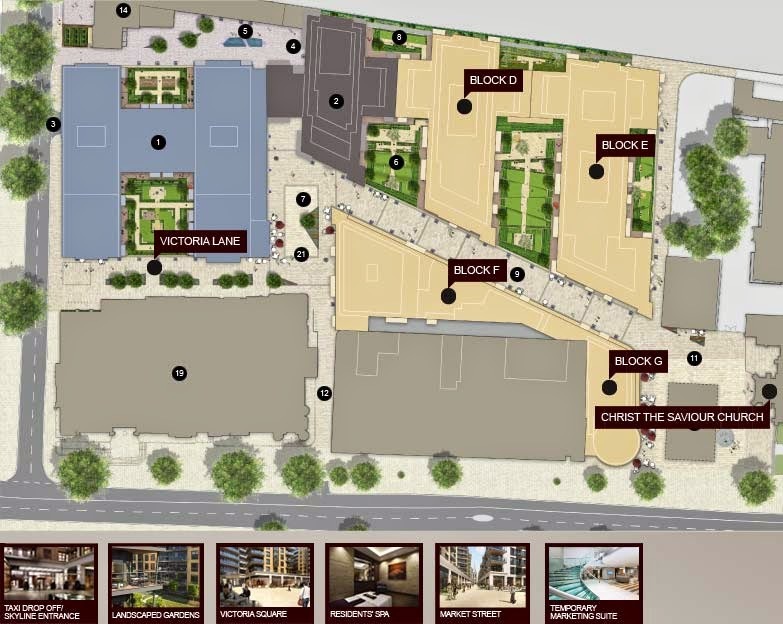 Dickens Yard is creating a new focal point in Ealing Town Centre. The development links a trio of historic, Victorian-era buildings: the Town Hall and Old Fire Station and the parish Church of Christ the Saviour. 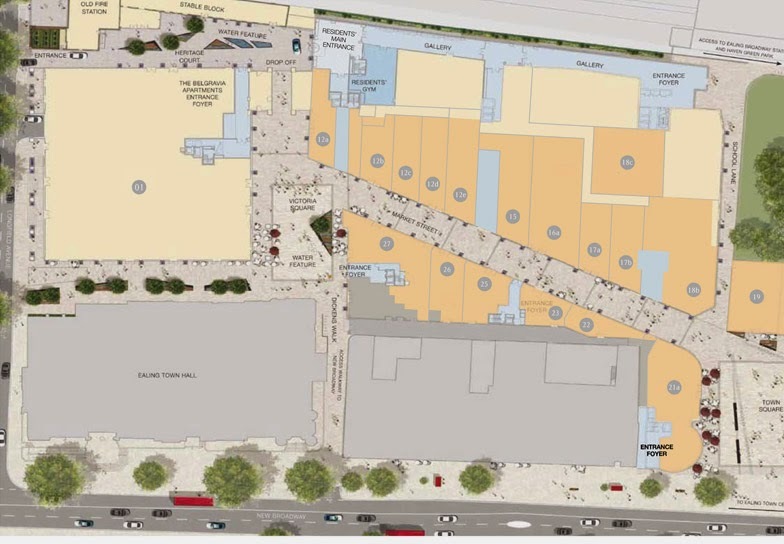 The result is an elegant and exciting public realm of landscaped squares and pedestrianised streets - with Dickens Yard at its heart. 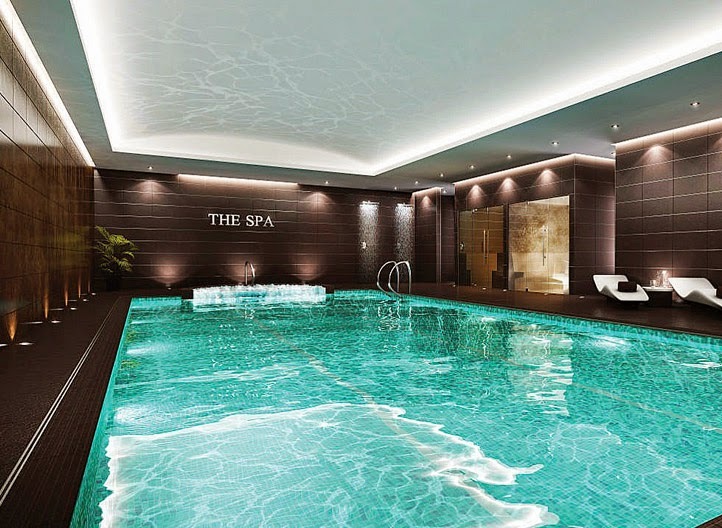 Dickens Yard's elegant, private spa, is an oasis of calm, featuring a state-of-the-art gymnasium, a swimming pool, sauna and steam room. 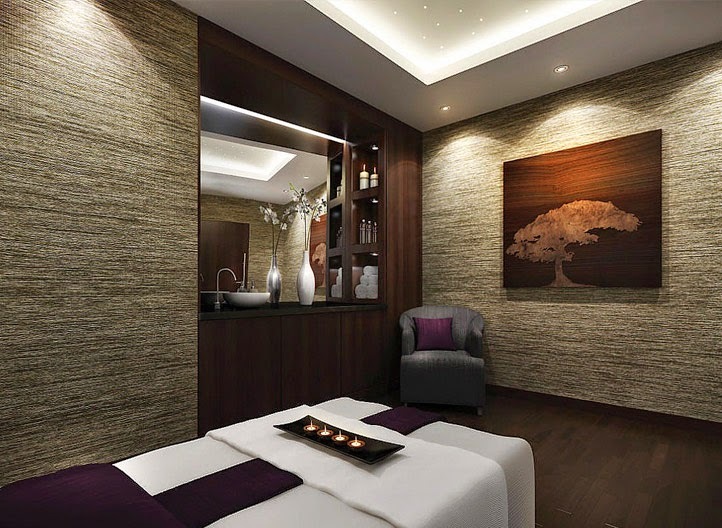 A treatment room offers a personal sanctuary where residents can relax and ease the strains of day-to-day life. 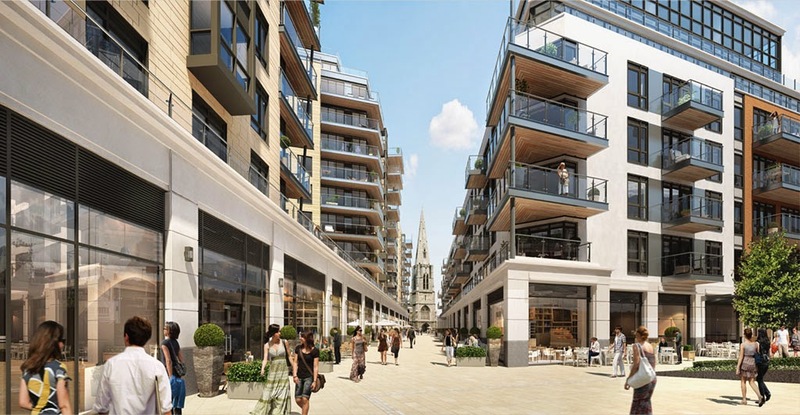 The energy and vitality of Dickens Yard and its unique fusion of historic buildings, cutting-edge architecture and state-of-the-art facilities define a new focus for Ealing town centre. 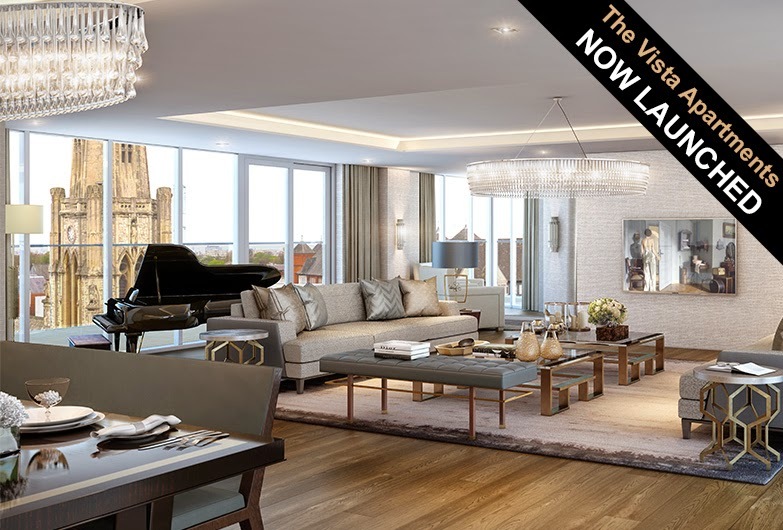 Vista Apartments are the latest edition to this new, highly sought after development; situated close to Ealing's amenities and boasting magnificent views over the beautiful surrounding landscaped gardens. 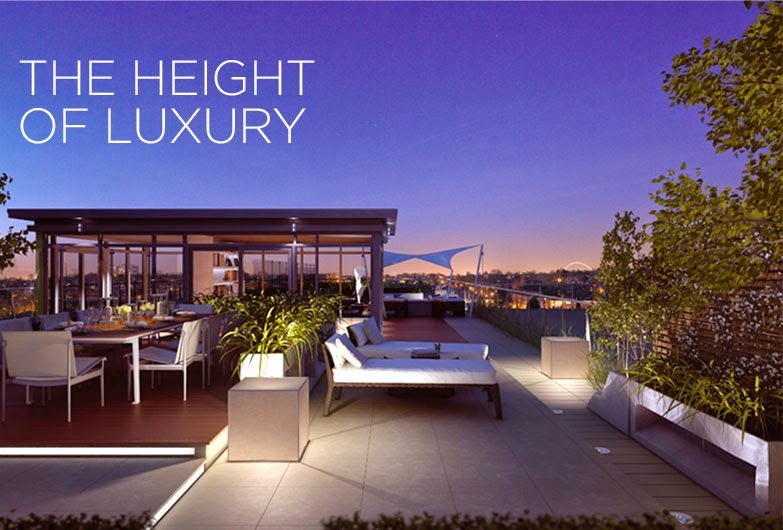 Vista Apartments offer the chance to live, socialise and entertain in ultimate style. 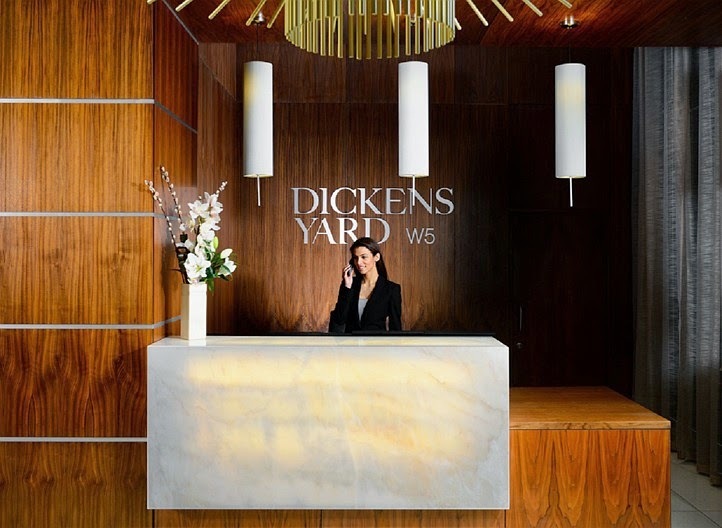 Dickens Yard will offer a world of choice for shoppers in search of retail therapy. 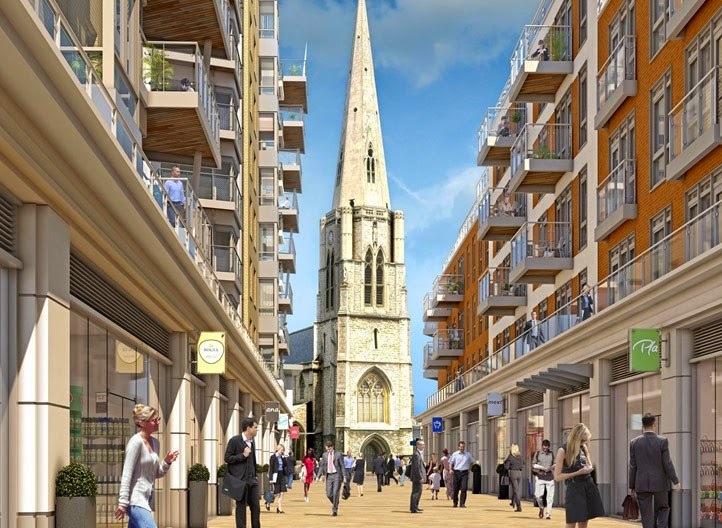 While Ealing high street boasts an extensive mix of sophisticated shops, food markets, cafés and restaurants, nearby Westfield in Shepherd's Bush, is Europe's most talked-about shopping destination with names such as Tiffany and Armani. 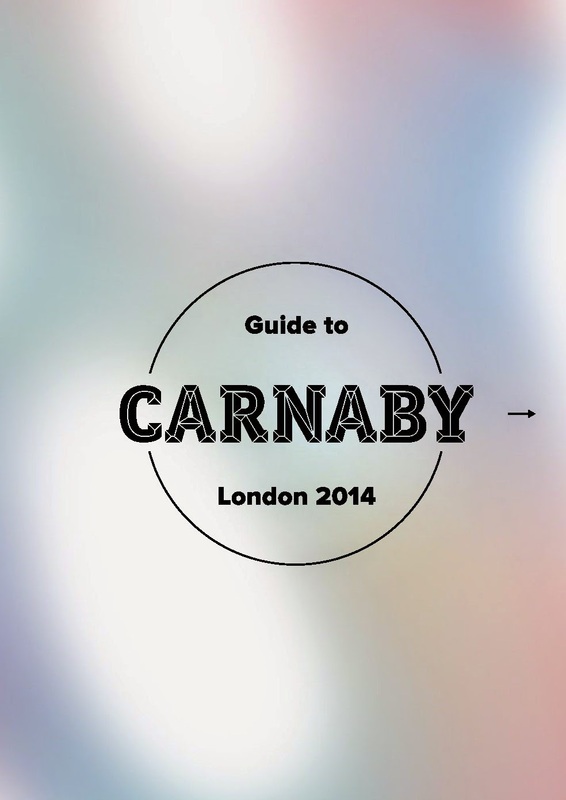 Kensington, Bond Street, Knightsbridge – and Harrods – are all within easy reach. 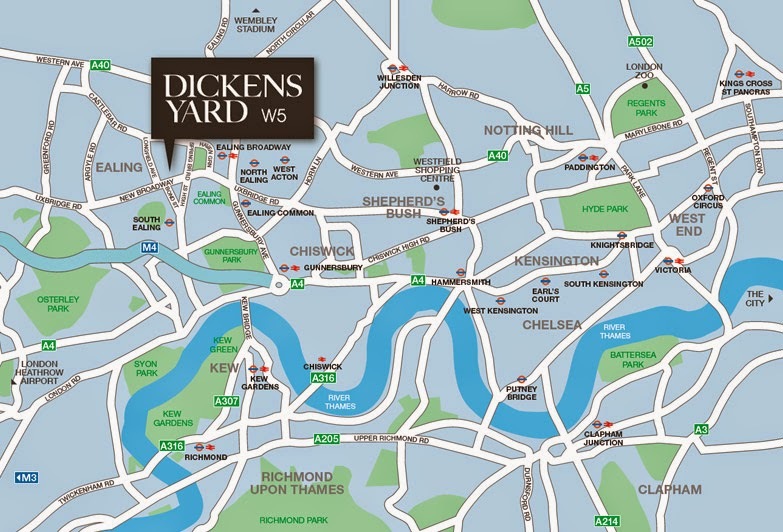 Closer to home, Dickens Yard will offer a range of boutique stores and luxury retail experiences. 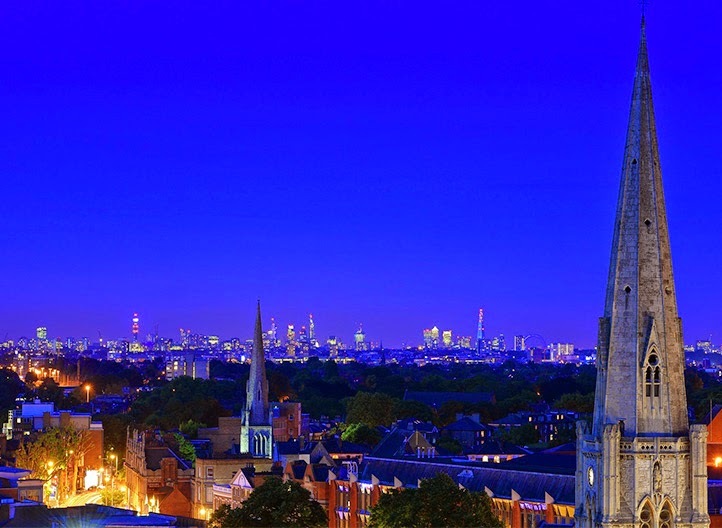 Ealing is one of London's greenest boroughs, with more than 100 parks and open spaces in which to exercise, unwind and lift the spirits. 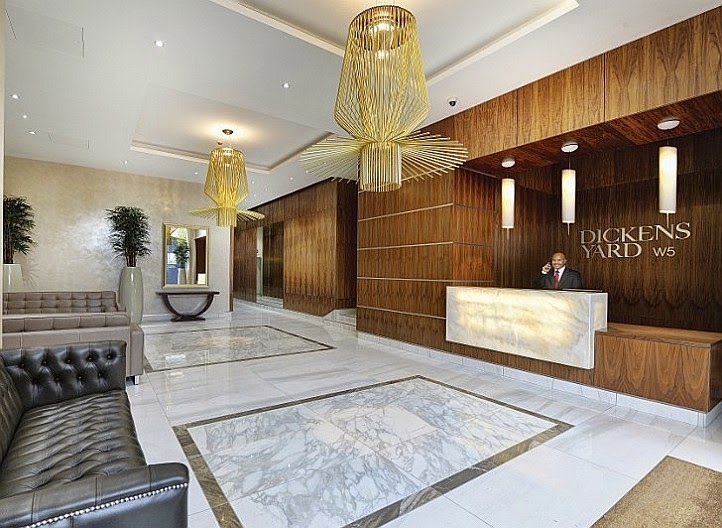 Dickens Yard is minutes from Ealing Common and Ealing Green, the picturesque Walpole and Pitshanger Parks as well as nearby Haven Green.